This Herman Miller Embody Chair review will look at just what’s great about this office chair as well as discussing some of the negative points about it too. 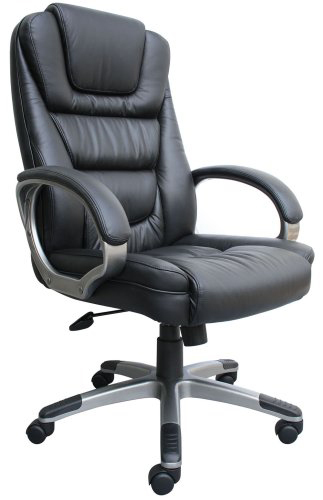 This is a sturdy and reliable office chair that can offer you a comfortable experience. Thanks to a special cushioning system, your back will be well supported whilst you sit in this office chair and it is fairly easy to adjust to your own measurements. The seat has a layered design that combines two layers of springs with a cushioned mat, covered by a high quality textile. This ensures that you can experience a floating sensation as you sit on the chair, enjoying maximum comfort in office, even if you sit in the chair for hours at a time. The tilt limiter is a useful feature if you like to recline in your office chair. You can set the maximum angle of recline so that you feel as stable as is comfortable for you. If you’d prefer however, you can simply lock the backrest into one position so that you are held in a permanent tiled angle. 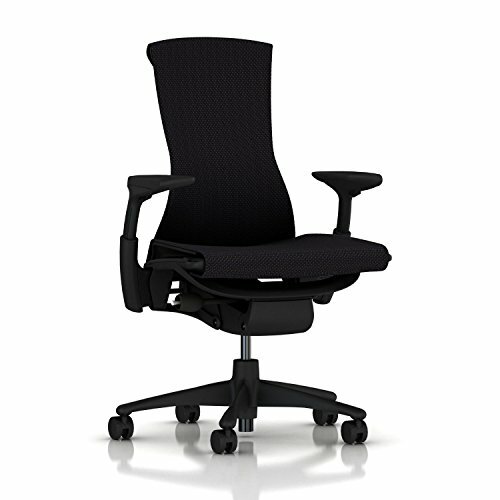 The unique cushioning system ensures that the office chair can take the shape of your back to give you complete support as soon as you sit in the chair. 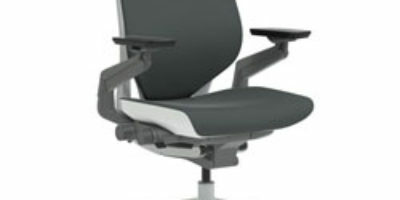 The pixel-like cushions that make up the back rest of this office chair compress or expand when you sit in the chair. Once they have taken the shape of your back, you will be kept in an optimum seating position. The strain will be distributed evenly and you will notice the benefits. The ‘floating’ feeling that you get when you sit in this office chair ensures that there is reduced pressure on your spine and nerves. 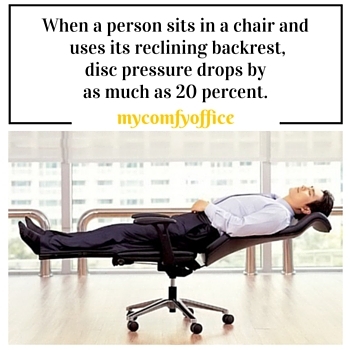 It also encourages movement within the chair, which in turn will give you better blood circulation. As well as being able to alter the height of the chair with a simple lever, there is also the ability to move the seat cushion forwards. If you need a little more depth to the chair, you can simply slide the cushion forwards a little and there you have it, an office chair that’s adapted to suit your measurements. The armrests on this office chair can also be adjusted so that they suit your needs. This is useful for those who have a little more width to their bodies. 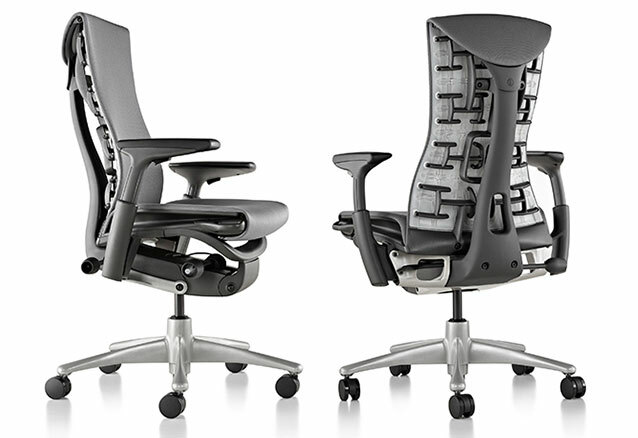 The Herman Miller Embody office chair is great for anyone who uses an office chair in his or her day-to-day job. Due to some of the difficulties in maneuvering the chair without pulling the armrests out of place, it would be better if you were planning on keeping this office chair in front of the same desk at all times. If you want a smaller or more rigid office chair, then this may not be the best choice for you. Because the backrest on this office chair actually flexes back, you will find that there is less strain on your shoulders. 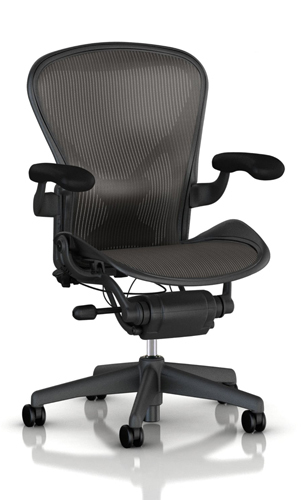 You can comfortably use this office chair all day and not have back pain when you leave the office. Tilt system is advanced and gives you plenty of options to either use a limited free tilt or lock the backrest. Adjustable height, seat cushion and armrest width accommodates most sizes of user. Comfortable cushioning system offers good support and comfort. Stylish look means it will look great in your office. Due to the width and the mechanism of the arms on this office chair, it is difficult to move it around easily. In order to move the chair out of the way, it is easy to grab the arm to move it and as the mechanism isn’t as sturdy as some other models, when you sit back in the chair, you can find that you have to re-adjust the chair again so that you can sit comfortably again. One of the only other complaints with this office chair is that if you choose the lighter colored fabric, you will find that it looks dirty very quickly unless your clothes are always completely clean and you never eat at your desk. If you choose the darker fabric, there will be less visible staining. 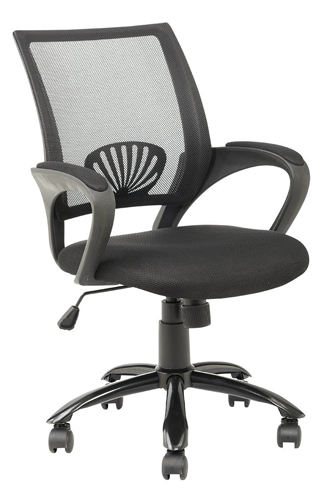 This office chair is a great choice for most people who want the heights of luxury in their office. 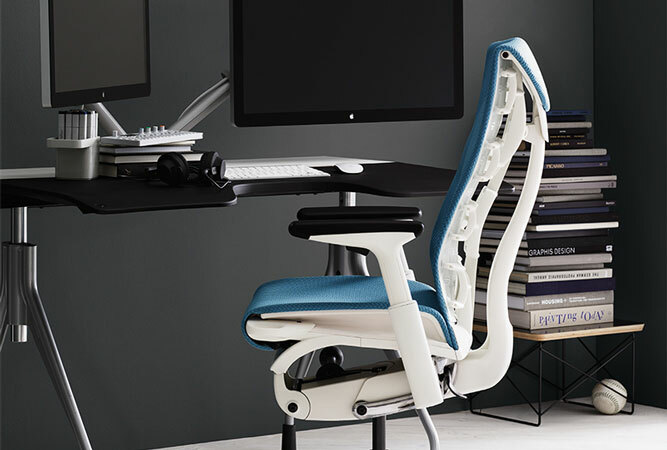 As this Herman Miller Embody Chair review shows, you can adapt it to suit your body’s dimensions and enjoy a comfortable office chair for the entire day in the office. As it holds you in an optimum position with so much comfort, you will literally feel as though you are floating, which will alleviate any strain or pressure on your joints and muscles that you may feel if you were using a less supportive office chair.